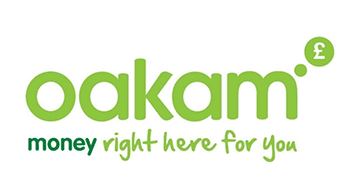 Oakam is a digital micro-lender for the UK's unbanked and underbanked consumers. Founded by Frederic Nze in 2006, Oakam is challenging traditional doorstep lending models by using smartphone technology to make borrowing more accessible, transparent, and rewarding for the working class. Oakam’s mobile app encourages customers to become more engaged and in control of their finances by offering seamless options to make repayments, apply for top-up loans, or access educational content. To encourage the development of good financial habits, Oakam has gamified the mobile experience for its customers. Through its in-app rewards programme, customers have the opportunity to lower their rates, skip a payment, earn cash-back or access other savings when they demonstrate responsible borrowing behaviour. Since its launch, Oakam has disbursed over 400,000k loans to customers. For more information, visit www.oakam.com.